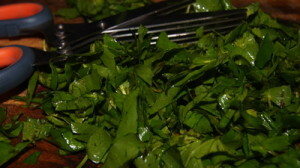 I feel that Thankuni Pata Bhorta / Centella Mash (Chittagonian Style) is easy and handy for abroad kitchen. 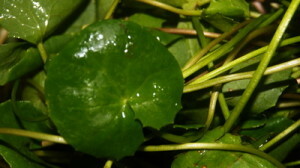 Thankuni pata / centella is best to have raw, in this way it keeps more nutritional value. This recipe goes as per your taste bud, so you can adjust its ingredients the way you like. Please try to chop all ingredients as fine as possible. 2. 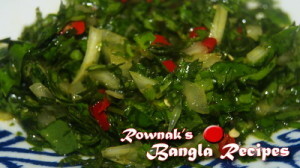 Enjoy Thankuni Pata Bhorta / Centella Mash (Chittagonian Style) with steamy hot rice. Great job…….keeping all they old & traditional bengali cooking alive. My kids wouldn’t know what thankuni pata is. Most bengali kids living abroad don’t konw things like taki, puti, shing, mola, kachki, boal, kajoli, batashi, ruposhi, tengra, dhela mach varieties……..and cooking in shorisha tael. Thanks a lot and it is my tiny effort to keep our traditional food alive for our kids(specially who lives in abroad) .